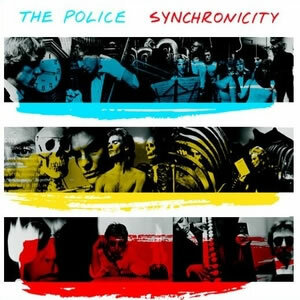 Every Breath You Take is a song by The Police on the band's 1983 album Synchronicity, written by Sting and Andy Summers (but officially credited to Sting only). The single was one of the biggest hits of 1983, topping the Billboard Hot 100 singles chart for eight weeks and the UK Singles Chart for four weeks. It also topped the Billboard Top Tracks chart for nine weeks. Sting won "Song of the Year" and The Police won "Best Pop Performance by a Duo or Group with Vocal" at the Grammy Awards of 1984 for "Every Breath You Take". The song ranked No. 84 on the Rolling Stone list of the 500 Greatest Songs of All Time and No. 25 on Billboard's Hot 100 All-Time Top Songs. This song is considered to be The Police's signature song, and in 2010 was estimated to generate between a quarter and a third of Sting's music publishing income.